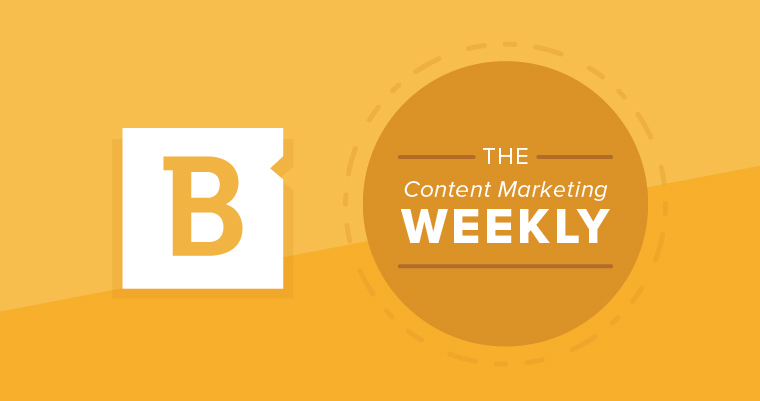 The Content Marketing Weekly summarizes all the week's news and insights that are fit to print. This week we recap a few big Google updates, assess the 2017 holiday's paid search results and take a short walk down memory lane with a very special algorithm. Another week the older, another week the wiser. Google's text snippets now have a 320 character limit (take that, Twitter). And no, that doesn't mean you should update all of your meta descriptions. Google bases the snippet for each SERP on user query and any visible content, meaning it will pull site content that most aptly addresses the query. Still, as this article from Search Engine Land suggests, it can't hurt to revisit your descriptions for your most important pages, because it's something you'll need to do sooner or later. Also be mindful of how this might affect SEO. More characters per SERP may mean fewer SERPS per page, making harder to appear on Page 1. Additionally, the extended character limit makes it even more important for marketers to anticipate the types of queries a particular web page might answer as they craft meta descriptions. While this could reduce click-through rates, since searchers can ascertain more info without actually visiting your site, there's a good chance Google will reward pages that cater to users seeking quick answers, according to Moz. Read the rest for more info. Starting this month, advertisers can use phone numbers and mailing addresses to target users with paid-ad content. 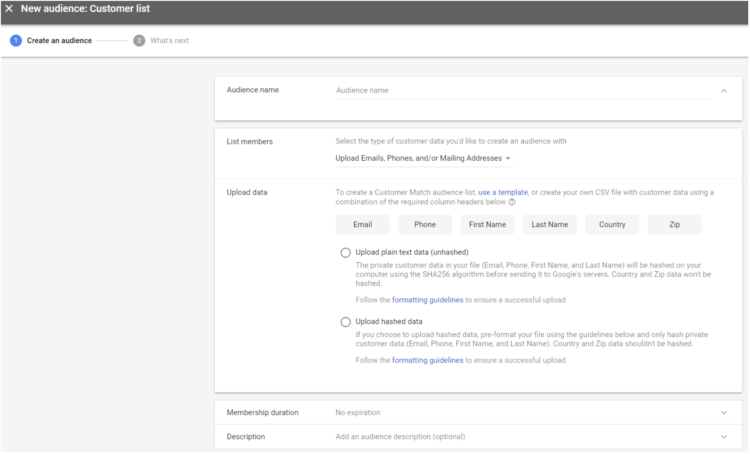 Google Customer Match, launched in 2015, helps marketers display ads to specific users. Previously, those users could only be identified through email list uploads. Now advertisers can leverage contact data they might have collected first-hand. If nothing else, this makes it a little easier for marketers who lack extensive email lists to target existing customers and leads that have been acquired first hand. Find out more from Search Engine Land. The one-word answer is yes. But the 800+ word answer is a little more involved. 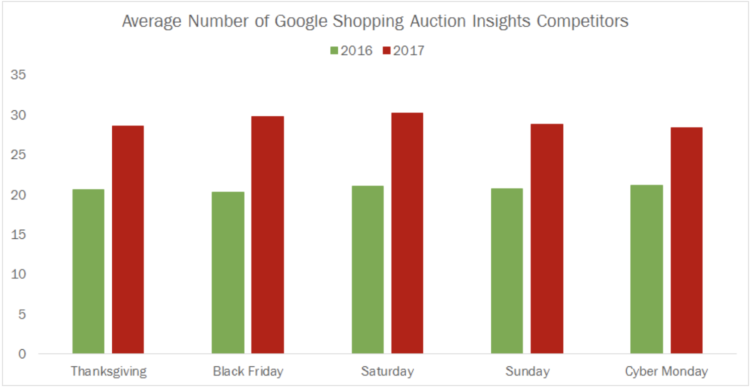 According to Andy Taylor, insights from Google Auction (a tool that gauges performance of Google Shopping campaigns) indicated a significant increase in competition for impressions on major holiday shopping dates – Black Friday, Cyber Monday, etc. But things get a bit murky if you factor in Google's May 2017 adjustment, which expanded the "universe of total impressions." As a result, many brands experienced a steep drop in their share of total impressions. In other words, don't panic just yet. And on the bright side, text-ad competition actually seemed to decline. This too, may or may not have to do with some subtle adjustments on Google's end, but we'll take it for what it is. DIY SEO is sort of like battling the hydra. Cut the head off one question and face the intimidating gaze of two harder questions. Content ideation.Content writing.Keyword research.Keyword analysis.Link building.Organic rank tracking.Website audit. Find out which tools could work for you. We close out this week's swan song with an homage to one of Google's most influential algorithms: Pigeon. As part of an ongoing series about the history of Google's algorithms, Search Engine Journal wrote about how the July 2014 release and subsequent updates fundamentally transformed SERPs for local search queries (e.g., movie theaters near me). Pigeon provided greater cohesion between Google Maps and Google Search results and supplied users with a more complete, well-rounded set of local search results. So here's to you, Pigeon! Thanks for all your help finding good pizza places near me that are open after midnight.